← What’s Your Story, Chorley? Much as I enjoyed ‘Daughter of the Blood’, the first book in the Black Jewels trilogy, I have to admit that at times it was hard to read. The world in which our heroine (Jaenelle) lived, was a dark dystopia, under attack by power hungry men and women who used their sexual and political abilities to destroy any chance of real love and relationships between their subjects, and to ruin potential rivals before they reached adulthood and power. 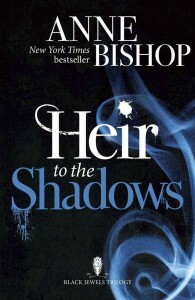 The middle book of the trilogy, ‘Heir to the Shadows’, provides welcome relief from the darkness of the first book. The complex social dance of the landen and the Blood, the Jewel hierarchy, the living and the dead, men and women is spiced up even more with the addition of the The Kindred – magical, intelligent animals such as wolves, unicorns, big cats and spiders. Against this background, Jaenelle’s relationships with her adoptive father Saetan and his son Lucivar deepen and grow, giving her a safe harbour in which to mature. The trauma she suffered at the end of the first book has been forgotten, locked away deep in her soul. Along with that pain, she has forgotten about Daemon, her destined mate and one true love, who has fallen into madness, having been convinced by his enemies that he was the agent of her pain. This book is set mostly in the Realm (dimension) of Kaeleer, and firm distinctions are drawn between the political system there and that of Terreille, which is Jaenelle’s ‘home dimension’. Kaeleer’s vast open spaces, owned by The Kindred, are a magnet for immigrants from Terreille. This immigration has been largely encouraged by Jaenelle’s enemies, who are hungry for yet more power and influence, and see Kaeleer as a soft target. Inevitably, conflict arises, and Jaenelle’s Kaeleer friends and allies are threatened. The traditional villains plot and plot again, but as Jaenelle grows in power and knowledge, her enemies become less and less relevant. Whilst her foes draw up their destructive schemes, it becomes clear that Jaenelle is powerful and intelligent enough to deal with anything that is thrown at her. Although she and her allies suffer, it only makes her stronger and more aware of what she is capable of. The sense of threat against a young woman has been replaced by the knowledge that Jaenelle has reached a stage where she is much more of a threat to her enemies than they are to her. The book ends with a rise to power that sets the stage for book three. 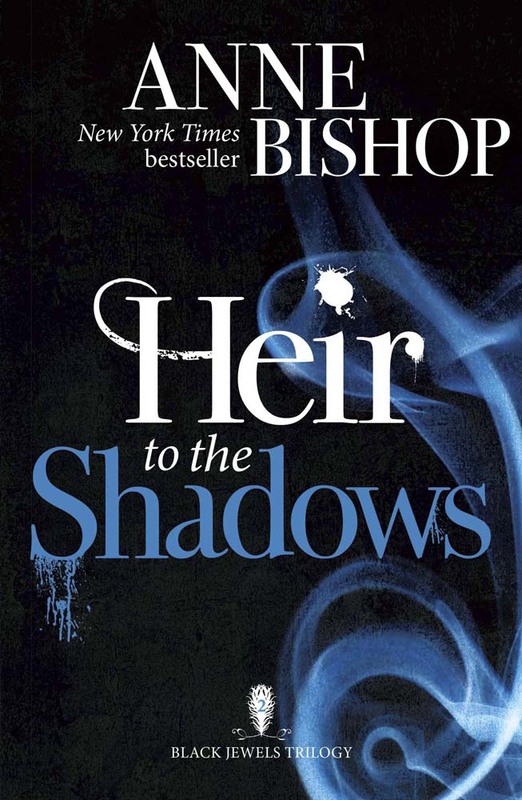 ‘Heir to the Shadows’ is a comforting, traditional fantasy read, and I enjoyed it a lot. It would have been nice to see a few character flaws in Jaenelle, and to see her solve more of her problems by her own intelligence and guts, rather than by the application of brute force magic, but overall I’m hooked, and looking forward to the final book in the trilogy. Originally published in the US at the end of the last century, ‘Heir to the Shadows’ is the second book in the Black Jewels trilogy. It is available now as ebook and paperback from Jo Fletcher Books. This entry was posted in Review and tagged Demons, Fiction, review. fantasy, vampires. Bookmark the permalink.